U Mass Professor Michael Carolan leads students in an exploration of the influence alcohol has had on a century of America's greatest authors. 8 Americans have been awarded the Nobel Prize for literature, 5 of those Americans were alcoholics - and this influence that alcohol has had on American fiction is something that Michael Carolan of the University of Massachusetts thinks deserves closer study. His class, Dionysus Hitting Bottom: The Alcoholic Narrative in Film and Literature explores the influence that alcohol has exerted on generations of writers and their characters. 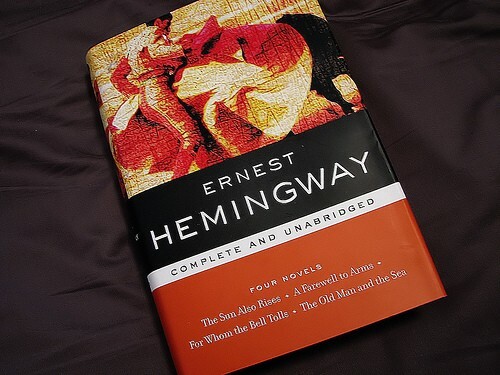 Carolan says that three of America's heavyweight authors, Hemingway, Fitzgerald and Faulkner, wrote with alcohol as a central theme of their writing, saying, "As novelists they were addressing how man lived in the 20th century, and the answer was, through drinking." Carolan laments that although "The modern American canon would not exist without all this madness and alcohol," literary critics and criticism have, in general, stayed clear of the issue. He says, "Let's look below the surface with a clear eye and explore the relationship between alcoholic authors and their characters." The course begins with Robert Louis Stevenson's Dr Jeckyl and Mr. Hyde, a book that out of ten chapters has 7 that focus on the consumption of drink, and spans the decades up to recent works, such as the film 28 days. The course falls under the sociological umbrella of a new genre of academia – addiction studies, a genre that examines the influence of drugs and alcohol on culture (both popular and renowned) through literary criticism and sociology. Carolan is himself an award winning author, having won a non fiction writing prize with Atlantic Monthly. He is working on a novel loosely based on his grandfather, an addicted dentist in the 1950's.